HE TURNED TO the crowd outside the police station, lifted his eyes to the heavens and raised three fingers. 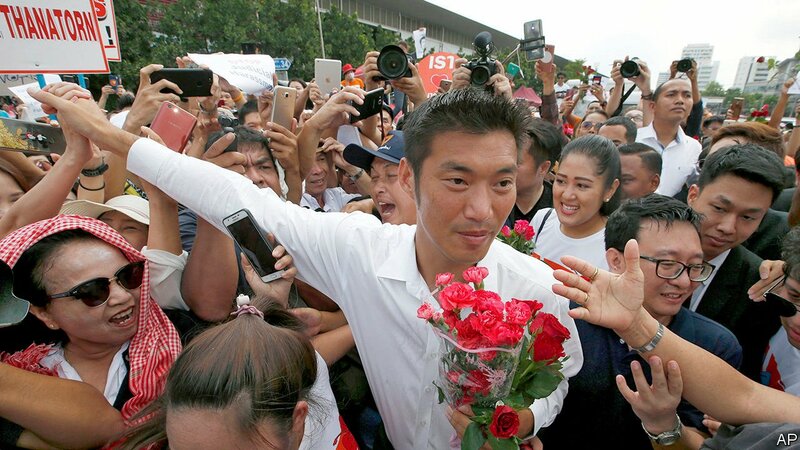 This salute, a sign of resistance to tyranny in “The Hunger Games”, a dystopian series of novels and films, is the kind of gesture that makes Thanathorn Juangroongruangkit (pictured), the leader of Future Forward, a political party he founded last year, wildly popular with young Thai voters. Inside the station, Mr Thanathorn was charged with sedition, assisting criminals and taking part in an illegal assembly.